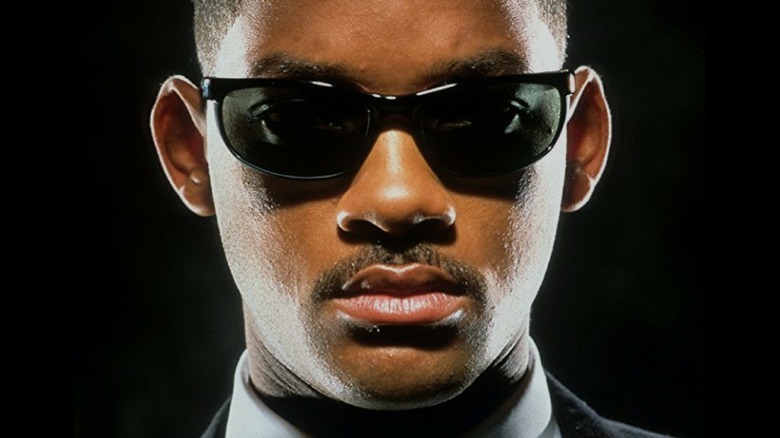 Sony is fast-tracking a Men in Black spin-off for the summer of 2019. According to Deadline, the studio has tasked some of the minds behind Iron Man and Transformers: The Last Knight with penning a script for another film in the franchise, which will hit theaters on May 17, 2019. Matt Holloway and Art Marcum are behind the script for the film, which will be set in the same world as the original Men in Black films. However, Will Smith and Tommy Lee Jones aren't expected to come back for the movie, which will instead focus on new characters and villains in what is said to be a contemporary take with a more global scale. Walter F. Parkes and Laurie MacDonald are set to produce the film, while Steven Spielberg will executive produce. The team is said to be in meetings with "top directors" right now, with someone expected to sign on soon. The film will not take the place of Sony's planned Men in Black and 21 Jump Street mash-up, which is still in development; this spin-off, though, is expected to hit theaters first. "It's so rare to get to the end of the script and know you're holding a movie in your hands– but Art and Matt have written a spinoff that somehow is true to the core of the MIB world, and yet expands the franchise to a fresh new place," Parkes told Deadline about the film.